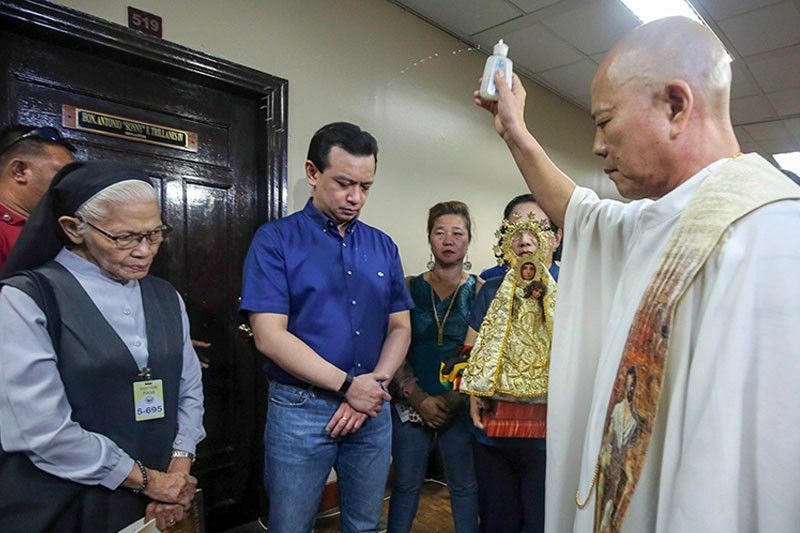 family: Times, Times New Roman, serif;">Senator Antonio Trillanes IV lauded after Makati Regional Trial Court’s Branch 148 decision of non-issuance of an arrest warrant and hold departure order against him. Trillanes felt relief on the ruling of the court for it showed judicial independence. The Department of Justice (DOJ) once asked the court to comply with the presidential order to officially revoke the amnesty that was granted in 2010. “This is another legal victory, but these are temporary legal victories because ultimately I need an official denial of the Proclamation 572 signed by the Duterte,” Trillanes said. The DOJ before the Makati RTC Branch 150 also filed a motion with the same order under Judge Elmo Alameda. The decision will be released today.